The best Three Musketeers ever. This film, and its sequel (filmed concurrently) is by far the best movie version of the Dumas novel ever produced. The cast is excellent. The sets and costumes are marvelous. 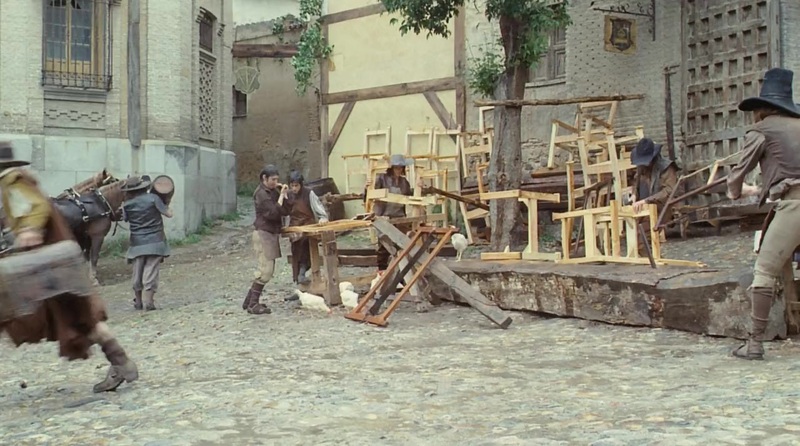 The swordplay (and there is much) is possible some of the most realistic ever filmed. 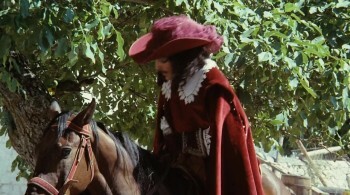 And it's the only Musketeer movie I am aware of in which the Musketeers actually use muskets. Authenticity seems to have been very important to the producers, as well as staying true to the novel. Sadly a film like this wouldn't be made these days. First off the fighting would be "punched-up" with a lot of wire work. And of course Hollywood would change the story to eliminate much of the "sleeping around" characters do (today's movie heroes in this type of movie aren't usually sexually active). They would also provide some creative story editing so that a certain character who dies in the novel would survive so as to supply the requisite happy ending. Fortunately for us this version does not suffer that kind of revisionism. If you're a fan of Dumas or just looking for a fun film with lots of realistic sword fighting then you won't want to miss this. 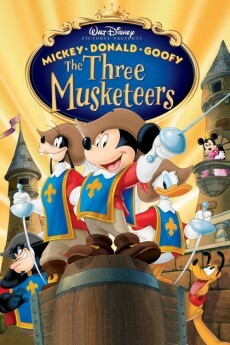 The Best version of THE THREE MUSKETEERS... EVER!!!! Alexandre Dumas would more than likely applaud this particular version of his fantastic novel. I remember when I was a kid and first saw the movie in the theater... I was stunned at the cinematography (yeah, a film buff even at 12). After leaving the theater, I went to a nearby bookstore and bought my first copy of the novel. Wow, how impressed was I when I realized that Richard Lester and George MacDonald Fraser stuck to the concept of the novel. The novel, incase you haven't read it, is funny and fun. The first half of the book... kept me at edge of my seat. When I recently re-read the novel, my wife would tell me that I would wake her up sword fighting in my sleep. Anyway, back to the movie. Michael York as D'Artagnan was fabulous. 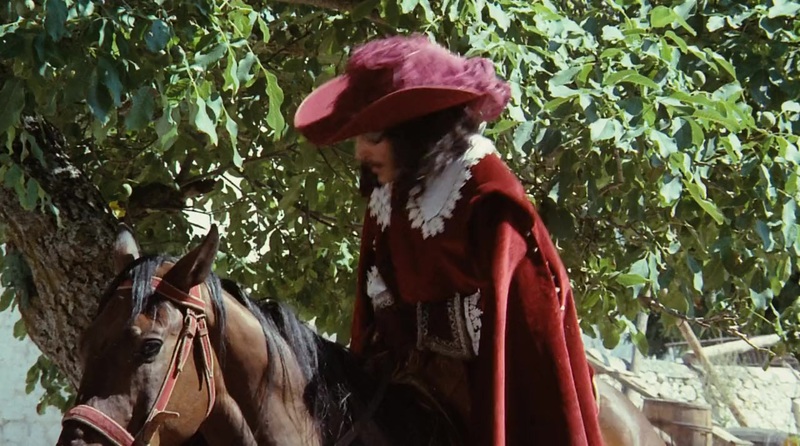 He embodied the dweeb that we all now and love as the future Commander of the King's Musketeers. Oliver Reed gave the best performance of his life as Athos. Richard Chamberlain as Aramis... the Musketeer who wants to be a priest was entertaining, and a delight. And Frank Finley as Porthos (and later came to realize that he was also O'Reilly... Buckingham's jeweler) was tremendous. 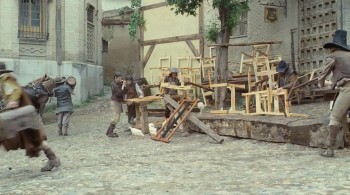 Richard Lester should have been nominated for an Academy award for his direction of this masterpiece, numerous members of the cast (including Christopher Lee as Compte Rochefort, Charlton Heston as Cardinal Richelieu, Raquel Welch as Constance Bonaciuex, Spike Milligan as Monsieur Bonacieux, Roy Kinnear as Planchet, Simon Ward as the Duke of Buckingham, Faye Dunaway as Milady de Winter, and of course Jean-Pierre Cassel as Louis XIII) should have been nominated for some kind of award. 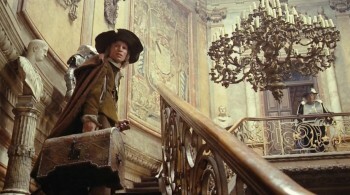 The casts portrayals were direct from the Dumas novel. 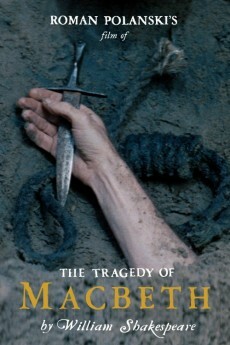 The sword play in the movie is the best that I have ever seen in a movie. There is none better, with the possible exception of the Four Musketeers... the rest of the novel. Lester is better with style than relating a narrative. I found it impossible to completely comprehend the story line here, and I think if you asked most people what the movie was about, they'd tell you there was a lot of swashbuckling and general mayhem and lunacy, but I doubt they'd give you much of Dumas' story. When the style is this good, however, a little fuzziness on the substance is not a fatal flaw. Still, it might keep this picture from being an all-time classic rather than "just" a most enjoyable film. Lester is such an auteur that his direction is the main focus of this film even with such an all-star cast. 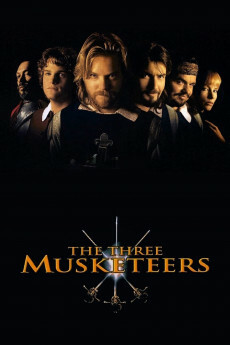 It was a wise decision (actually it seems like a no-brainer) to divide what was originally shot at one time into two films, this one and 'The Four Musketeers.' 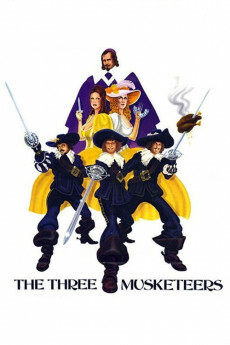 There really can be too much of a good thing, and even at under two hours, 'The Three Musketeers' threatens to be overwhelming. But on balance this film is great entertainment.